This recipe is one I mix up in the kitchen for a quick snack or dinner side, and was taught to me by friends and by observation. Having grown up with a limited palate (yes, I was the kid whose food could not touch), I’ve enjoyed exploring what, to some, may have very well always been part of their realm of deliciousness. Enjoy and let me know how you like your tomatoes! Mix all ingredients and enjoy immediately. This is one of those recipes that doesn’t have exact measurements, which truth be told used to drive this slightly OCD farmgirl a bit nuts. However, the point is to just have fun. Make a little or a lot, depending on how many you have to feed. In general, one medium tomato per person. The key is to get a little taste of each yummy ingredient in each bite. I like to chop things up somewhat small so I can make sure to savor the farm fresh glory of this salad. 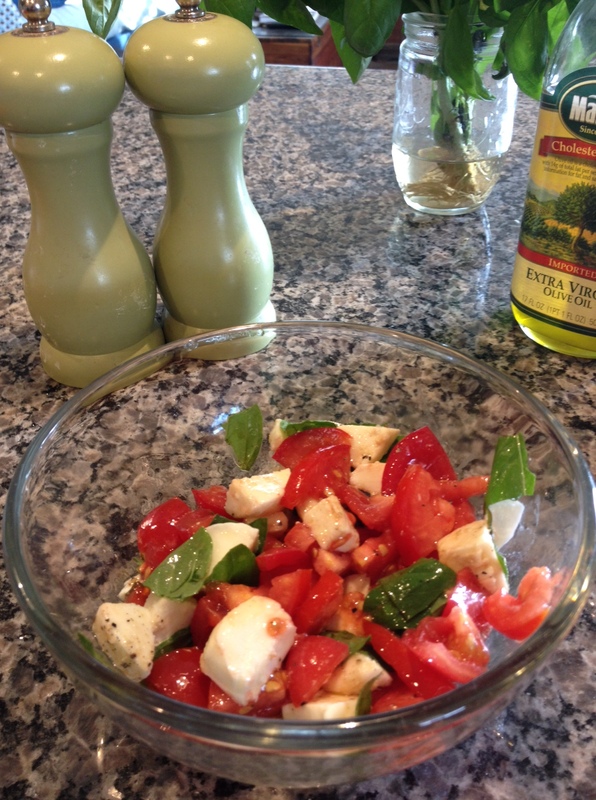 In general, I like to to use equal amounts of olive oil and balsamic vinegar. And don’t forget the salt and pepper. The fresh mozzarella will soak up the juice and the spice. The finished product ready for munching. 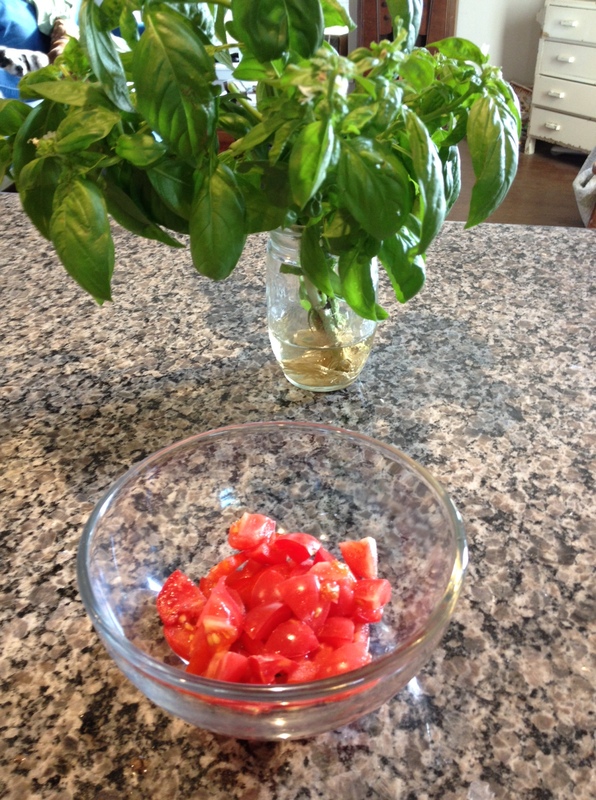 Check out this awesome blogger’s summer recipe! Thanks so much for sharing and reading the blog! Let me know what you think of it. I am looking forward to trying the recipe this week! Thanks for sharing it. You have a great blog. Awe thanks! Let me know what your taste buds think. Have a wonderful evening!